Do you want to upgrade your plan? If it's a yes, just get these easy steps done to upgrade to a paid plan. Click to learn more about access privileges for managing your portal subscription. 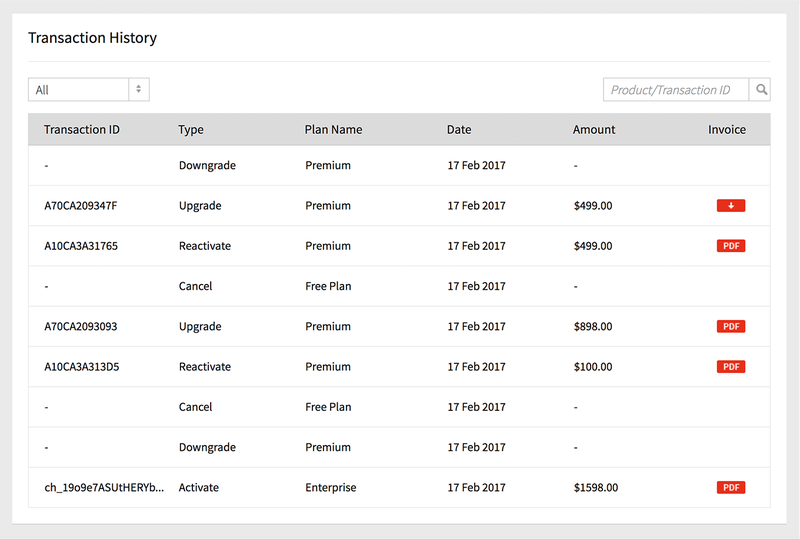 You can upgrade from a free plan to any of the paid plans in Zoho Projects based on your business needs. Click your Profile in the upper-right corner of the page. Select Subscription Details to view the pricing details. Choose a plan according to your business need. 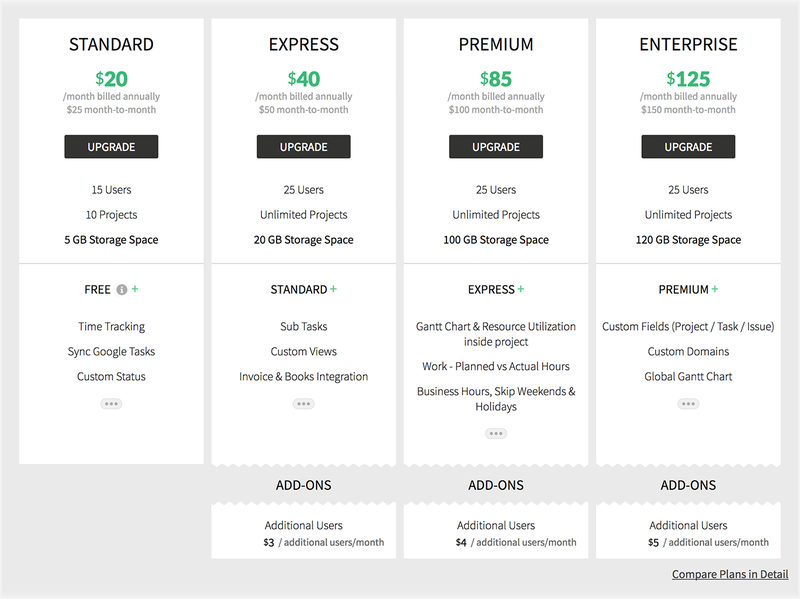 Express, Premium, and Enterprise plans have an option to purchase additional user add-ons. Enter the number of users in the box provided. Click Confirm after verifying your order summary in the Review Order. Enter your card details and billing address in PaymentDetails. A confirmation message about the upgrade is displayed. This upgrades your plan to a paid plan and the required amount is automatically transacted from your credit card. In addition, you will receive a purchase mail along with the plan details for your records. Payments are recurring and your credit card will be charged automatically. If your current plan is not enabled with some features that you require, you can upgrade or change your existing plan to another plan in Zoho Projects. 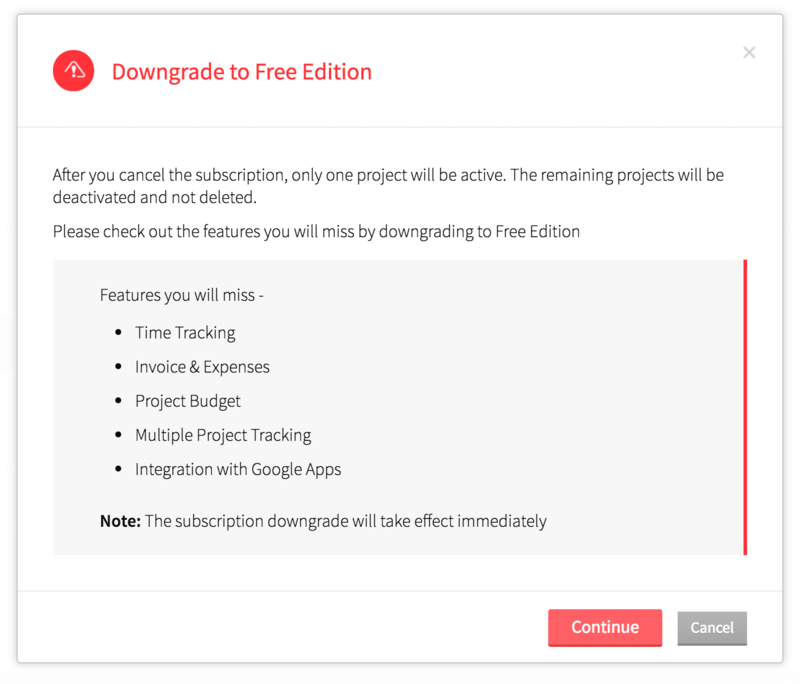 You can also downgrade your subscription plan if required. Certain features are available only in our higher plans. Click here to learn more about our paid plans and the features available in them. Select Change Plan in the right corner. Hover over the existing plan and then click Upgrade or Downgrade. Select the desired plan and click Upgrade. Verify the purchase order and click Make Payment to successfully change the plan. A confirmation message about the plan change is displayed. Click Change Plan in the right corner. Hover over the existing plan and then click Upgrade / Downgrade Plan. Select the desired plan and click Downgrade. Verify the purchase order and click Confirm to successfully downgrade the plan. A confirmation message about the downgrade is displayed. 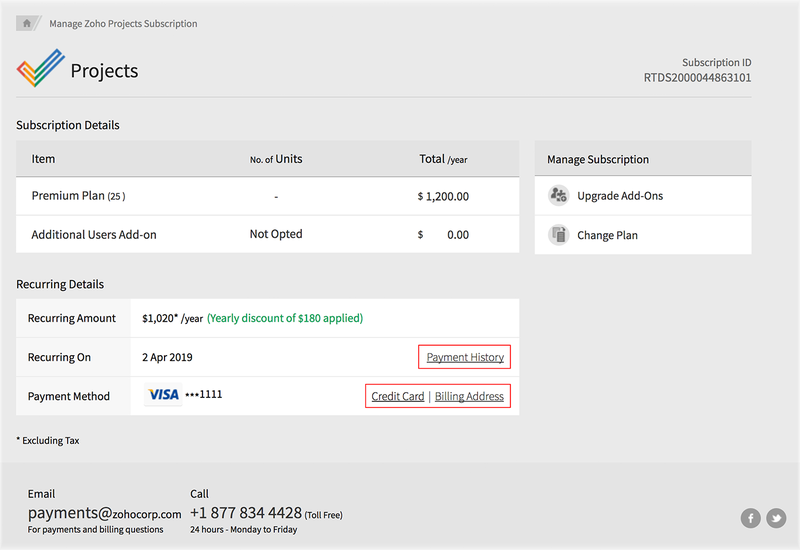 You can purchase additional users in the Express, Premium, and Enterprise plans anytime. Click Upgrade Add-Ons to purchase additional users. Select the number of users and click Continue. Click Make Payment to complete the process. Click Downgrade Add-Ons to reduce the number of users. Select the number of users and click Downgrade. Click Confirm to complete the process. You can switch from monthly subscription plan to a yearly subscription. Select SubscriptionDetails to view details. 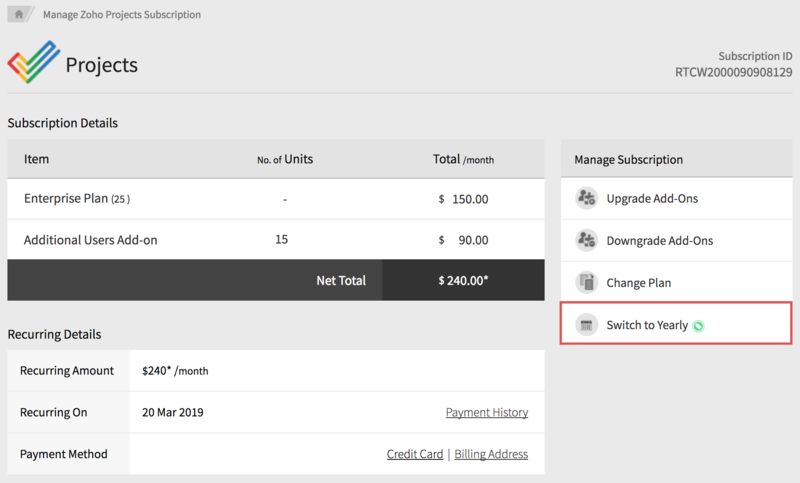 Click on Switch to Yearly to change your subscription. You can change your credit card details if required. Select SubscriptionDetails to view the pricing details. Hover over the Credit Card in Payment Method and click Change Credit Card. Modify the required credit card details. Click Update to update the modified credit card details. You can also modify the billing address. You can cancel your subscription plan if required. Hover over the existing plan and then click Upgrade/Downgrade Plan. Click Continue to downgrade to free plan. 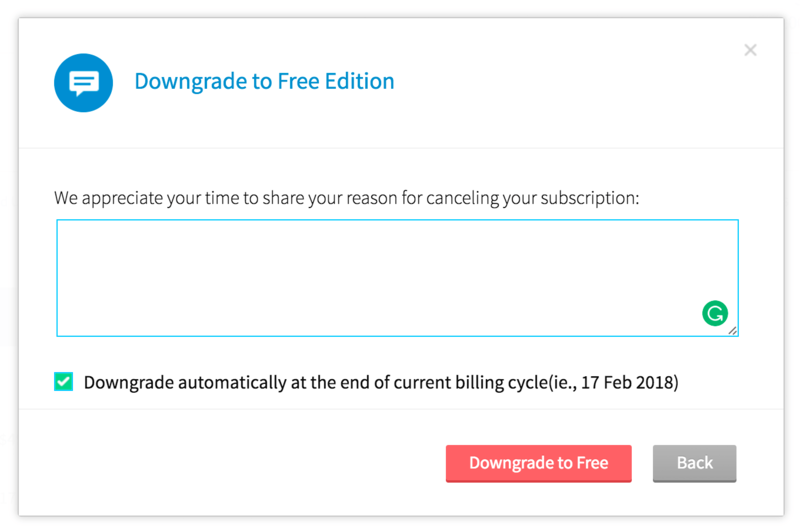 Enter the reason for cancellation in the Downgrade to Free Edition and then click Downgrade to Free to cancel the plan. A confirmation message about cancelling the plan is displayed. You can view the payment history and also download the required invoice from Zoho Projects. 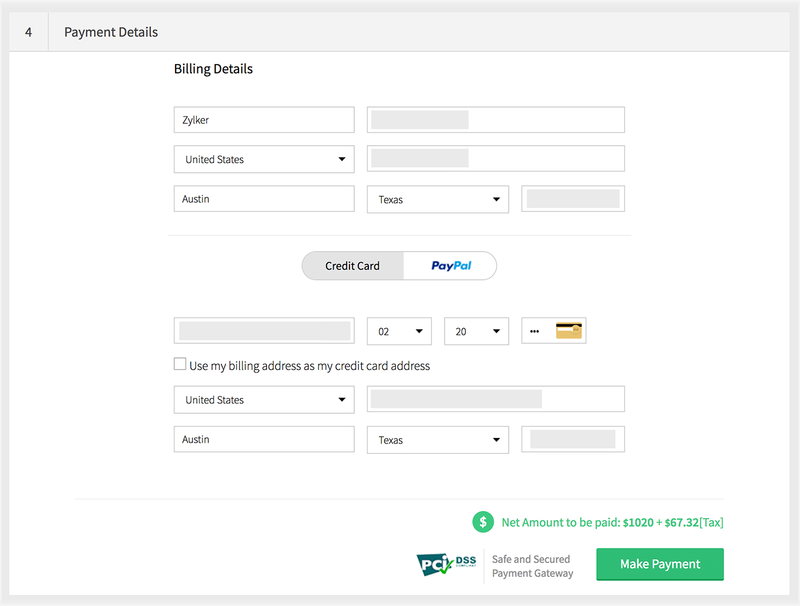 Hover over the Payment History and click View Payment History in Recurring On. View all the payment accounts. Click to download the .pdf of the required invoice in the Invoice column.